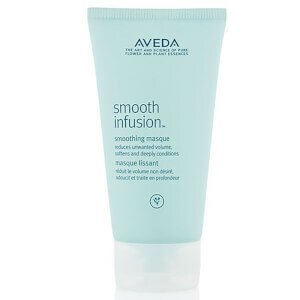 Condition your hair daily with Aveda Smooth Infusion Conditioner for a smooth, shiny finish. The moisturising plant infusion is a blend derived from organic aloe, maize and guar bean and creates a smooth new surface on hair. Significantly reduces frizz and unwanted wave, helps prevent flyaways and protects your hair surface damage from heat styling.